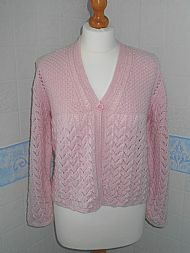 All knitwear is hand knitted. If you do not see what you like use the 'contact us' form and we may be able to customize our products for you. 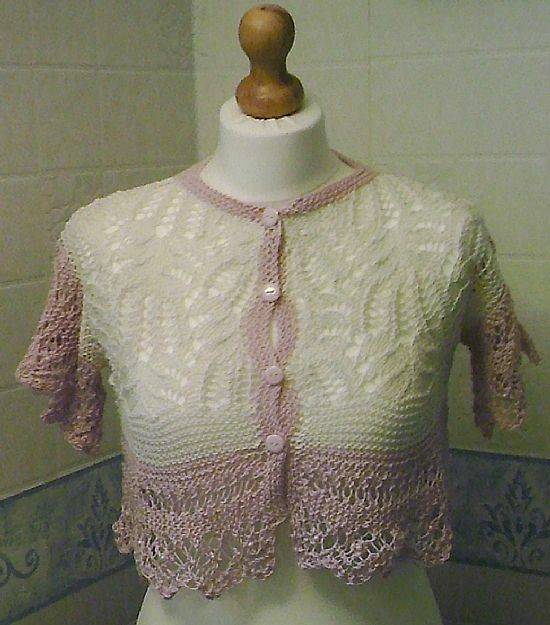 Hand knitted in pure cotton in delicate fern stitch with lacey edging. 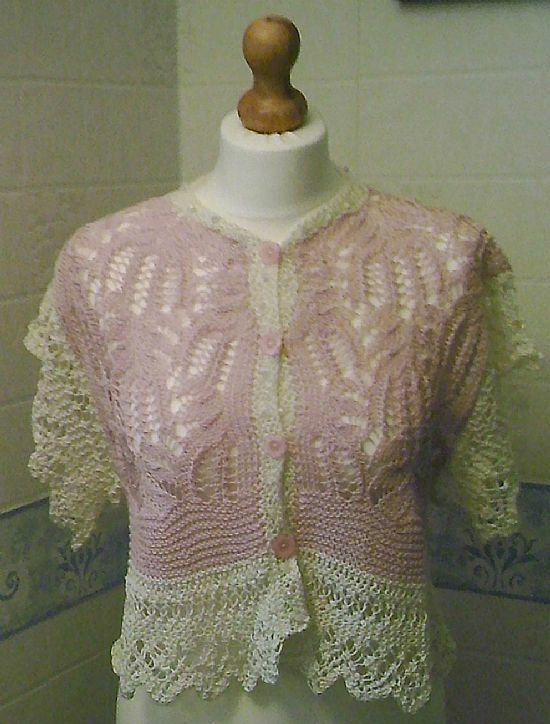 Buttons on the front and beading around the hemline. 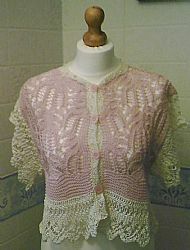 Ivory with pink edging. Hand knitted in pure cotton in delicate fern stitch with lacey edging. 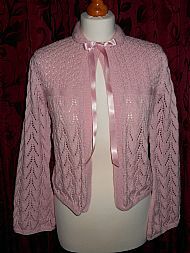 Buttons on the front and beading around the neck edge. 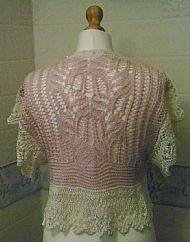 In pink with ivory edging.